LOCATION! LOCATION! 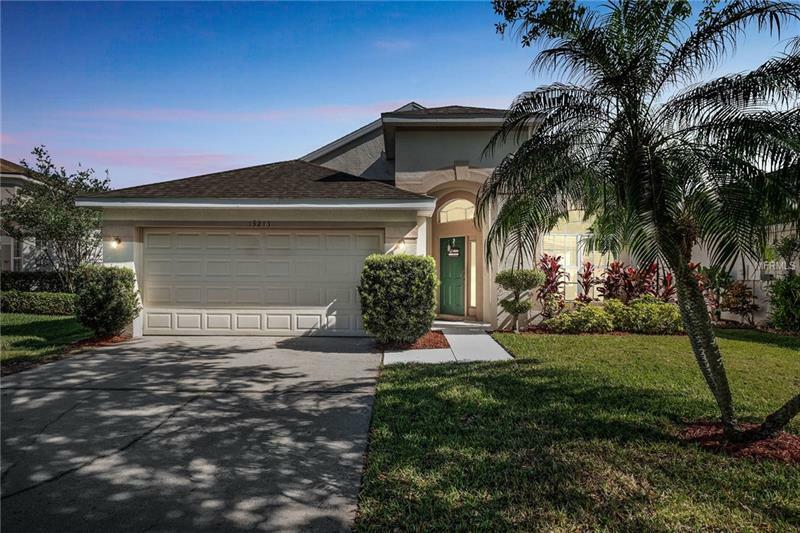 This 3/2 pool home on a cul-de-sac in the Mallard Cove community of HUNTERâS CREEK is the home for you. Walking through the entry door into the foyer, your eyes will admire the bright open floor plan and wood-like laminate flooring. Your gaze quickly moves from the formal living and dining rooms, into the family room and kitchen, through the sliding doors to the lanai and then onto your own private pool. The kitchen features breakfast bar and eat-in area PLUS a reading nook that opens for additional storage. The inside utility room even has an over-sized pantry - ideal for bulk purchases! The Master Suite has dual vanities, garden tub, walk-in shower and spacious walk-in closet. Start your day with morning coffee on your screened patio overlooking the pool and lake. End the day by taking a dip in your pool. Take advantage of the amenities the community offers â parks, tennis, basketball, softball, soccer, bunco, Movies in the Park, pickleball, to name a few. Conveniently located to shopping, Theme Parks, airports, restaurants and more. Roof replaced â11. Home re-plumbed â16. Schedule your appointment to see this property today.